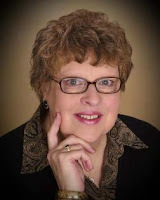 Jean Fischer has been writing for children for nearly three decades, and has served as an editor with Golden Books. She has written with Thomas Kinkade, John MacArthur, and “Adventures in Odyssey,” and is one of the authors for Barbour’s Camp Club Girls series. A nature lover, Jean lives in Racine, Wisconsin. Visit the Camp Club Girl's website. “Watch out!” someone called near Sydney’s ear. But it was too late. The pent up explosion of the water landed square against Sydney’s back, knocking her to the ground. Dazed, she rolled onto her back and looked up into the hot summer sky. The water swirled around her whole body. From a distance she heard happy shouting and water gushing onto the street. Little girl? Little girl! I’m twelve years old! I’m not a little girl, Mister. The indignation snapped Sydney out of her dazed condition. She looked up and saw that two firemen were now looking at her anxiously. Carefully they helped her to her feet. “Are you okay, little girl?” She looked in the fireman’s face. He seemed so worried that her irritation melted. Sydney looked down at her soaking gray tank top and shorts. “Yes, sir, I’m fine,” she said. “Thank you,” she added, remembering her manners. Sydney Lincoln had been talking to one of her neighborhood friends. She hadn’t even noticed the firemen at the fire hydrant behind her. And she sure hadn’t realized she was in the direct line of the nozzle the men were releasing. Still out of breath from the shock of the water, Sydney dropped onto the curb in front of her house. She tore off her running shoes and socks, and stuck her bare feet into the gutter. She watched as the water from the hydrant down the street shot into the air and out the nozzle. The neighborhood kids laughed and splashed in its flow. As Sydney’s clothes began to dry in the torrid sun, the water rushed along the curb like a river. It streamed between Sydney’s toes and sent goose bumps creeping up to her knees. Sydney lived in the middle of a row of brick houses. The two-story tall houses were connected so they looked like one long building. The only windows were in the front and the back. The houses were close to the street, and each had a narrow front porch with three steps leading to a tiny front yard and the sidewalk. The screen door on Sydney’s house swung open, and her mom stepped outside. “Sydney, have you seen your Aunt Dee yet?” Her curly, black hair was pulled back with a blue band to keep it off of her face. Sydney dipped her fingers into the water and splashed some onto her long, thin arms. “No, mom,” Sydney answered. She didn’t think it was necessary to tell her mom about her little brush with the explosion of water. The cell phone in the pocket of her pink shorts buzzed. Sydney took it out and found a text message from one of her best friends, Elizabeth Anderson. It said: Almost packed. Sydney tapped a reply on her keypad: Can’t w8 til u get here. Sydney and Elizabeth had met at Discovery Lake Camp, and although Elizabeth lived in Texas, they talked every day. Four other girls had been with Sydney and Elizabeth in Cabin 12B. They were Bailey Chang, Alexis Howell, McKenzie Phillips, and Kate Oliver. When camp ended, Kate set up a web site so the girls could stay in touch. It was password protected, so it was like their own secret cabin in cyberspace. They’d all bought web cams with baby-sitting money, chore payments, and allowances so they could see each other and talk online. The Camp Club Girls—as they liked to be called—made web cam calls, sent IMs, and frequently met in their own private chat rooms. Sydney continued typing her message: Will pic u up @ d aport @ 4 2MORO. “Sydney, I really wish you’d come inside.” Sydney’s mother crossed her arms. “Okay, in a few minutes, Mother!” Sydney said, without looking up. The screen door slammed shut. This was the worst heat wave Washington D.C. had seen in twenty-five years. Everyone had air conditioners blasting. The energy load was way too much, and the night before, the power had gone out. Sydney hated being in total darkness. She was relieved that today seemed normal. Pack shorts, she typed. Really hot here! While she sat texting, Sydney heard the thump thump thump of music getting closer and closer. A green jeep raced around the corner, and the booming bass from its stereo echoed inside Sydney’s chest. In the passenger seat, Aunt Dee held on to her tan park ranger hat to keep it from flying off of her head. The jeep screeched to a halt in front of Sydney’s house, and her aunt hopped out. The young driver waved and drove off. Gotta go, Liz, Sydney wrote. Ant D’s home. “I know,” Aunt Dee apologized. “There was trouble at the Wall.” She took off her ranger hat and perched it on Sydney’s head. Aunt Dee always blamed her lateness on her job at the Vietnam Veteran’s Memorial. Sydney didn’t understand how she could be so enthusiastic about a long, black wall with a bunch of names carved onto it. “So what was the trouble?” Sydney wondered. By the time Sydney washed and sat at her place at the table, Mom and Aunt Dee were already eating. Sydney had learned at camp to pray before every meal. So, she bowed her head and said out loud, “Dear Lord, Make us truly grateful for this meal and for all the blessings of this day.” She noticed that her mom and Aunt Dee stopped eating and bowed their heads, too. “And please keep Dad safe,” she said. Sydney always added a blessing for her dad who was serving in the military overseas. “Amen!” Mom and Aunt Dee chimed. Sydney poured iced tea into her tall glass and scooped pasta salad onto her plate. “So, what happened at the Wall?” she asked, reaching for a piece of French bread. “Don’t talk with your mouth full,” said Aunt Dee. “Most times it is,” her mom argued. “Just look around our neighborhood,” She waved her hand toward the kitchen window. “Vandalism everywhere! Who do you think did all that? Not the adults. The kids don’t care about our community. Do they care that this neighborhood used to be a military camp to help slaves that escaped from the South? No! They just want to mess up the nice things that good folks worked so hard to build.” Sydney’s mother sighed and took a long drink of her iced tea. Mrs. Lincoln worked at the local historical society, and she was very protective of the neighborhood and its landmarks. She liked to talk about how, in the old days, kids had manners and didn’t do anything wrong. Sydney hated it that her mom blamed everything on the kids in the neighborhood. “What does GO 64 mean?” Sydney asked, handing her the basket of bread. “But if it’s about the freeway, or a car, or a chessboard, why would they complain by painting graffiti at the Vietnam Wall? Besides, Interstate 64 is in Virginia,” Aunt Dee said. The air conditioning kicked in again, and a cool draft shot from the air vent making the kitchen curtains flutter. “May I be excused,” Sydney asked, swallowing her last bite of pasta. “You may,” her mother answered. Sydney put her dishes into the dishwasher. Then she went upstairs to her room. The computer on Sydney’s desk was on, and her screensaver cast an eerie blue glow on her yellow bedroom walls. Syd’s bedroom had no windows, so it was always dark. That was the trouble with living in a row house. If your room was in the middle of the house, you had no windows. She flipped the switch on her desk light and tapped the spacebar on the computer. The monitor lit up, and Sydney noticed that McKenzie Phillips was online. She sent her an IM: Talk to me? The phone icon on the computer screen jiggled back and forth. Sydney clicked on it, and McKenzie’s freckled face appeared. She was sitting at the work island in her family’s kitchen. “What’s up?” she asked. “Me, too,” McKenzie replied. “Well, almost.” She held a slice of cheese pizza in front of her face so Sydney could see it. “We ate early because Dad and Evan have to drive some cattle to pasture. Then they want to practice for the rodeo this weekend.” She pointed to the blue baseball cap on her head. Its yellow letters said: Sulfur Springs Rodeo. “Right,” Sydney agreed. “We’ll see him Monday at the Vietnam Wall. Aunt Dee wants to give him the tour, and she thinks that Elizabeth and I should be there. Otherwise, we’re on our own.” Sydney heard strange sounds coming from her computer speakers. “Is that mooing?” she asked. McKenzie’s face disappeared from the screen. Sydney watched her friend’s bare feet move across the kitchen floor as she carried the web cam to the window. Then a big, black-and-white cow head appeared. Olivia stood chewing her cud and looking at Sydney with huge, brown eyes. Sydney watched McKenzie’s bare feet walk back to the computer. Then her face showed up on the screen. “See ya,” Sydney answered, switching off her web cam. Everything in her room looked neat except for the other twin bed. It was hardly ever used, so that was where Sydney stored most of her stuff. It held boxes filled with colorful papers and art materials, magazines, piles of clothes, posters she planned to put up in her room. Sydney had so much stuff stored there that she didn’t know what to do with it all. Under my bed, I guess, she thought. Before long, the bed was cleaned. Sydney changed the sheets. Then she went to her closet and pulled out a new black and tan bedspread that matched her own. She threw it on top of the bed and tucked it neatly around the pillow. The letter was from Elizabeth. Sydney tore open the flap and found a note taped to an information sheet. Uncle Dan wanted me to send you this so your mom can keep track of him. Just in case of an emergency. It’s his reunion schedule. Syndey, who's book covers are red, has us on an adventure in Washington D.C. Elizabeth from Discovery Lake Camp is heading to D.C. with her dad and spends time with Sydney. Of course, that means they are going to have to solve mystery. I love that this takes place at the Vietnam Memorial. We've been there a couple times. Girls will learn some great information as it's incorporated into the story! I also appreciate that this series doesn't have cookie cutter girls. They are a diverse group from all around the US. The authors fill a much needed gap! I like that they use some great scripture references throughout the book. It's a great way to help girls put it in a situation they might understand. All the girls from camp get together via internet to try and help solve the goings on at the Memorial! It will really have the girls on the edge of their seats! It certainly had me turning pages. There's a great history lesson entwined in the story and the any girls reading it won't be the wiser because the author does such a great job with the suspenseful storyline and the girls' friendships! 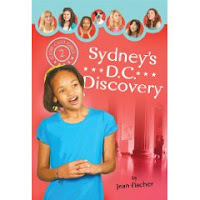 I'm the author of "Sydney's D.C. Discovery." Thanks so much for a nice review. I'm happy that you enjoyed the book. I would love to win this for my daughter! She said she would like Alexis and the Montana Surprise...we are crossing our fingers! This looks like a wonderful series that my daughter would enjoy. Since we live just a half hour north of Branson, MO, McKenzie's Branson Brainteaser sounds like it would pique my daughters interest. Thanks for the chance to win...Blessings! Just followed you on twitter...thanks again. I am MyBucklngBkshlf on twitter. These look like fun books! Too bad there is no NJ book forthcoming. I guess the other would be the Philly one as we live near by! Thanks for the giveaway! Having grown up in Sacramento I would have to say Alexis and the Sacramento Surprise! I think my daughter would love these! My daughter loved these books, so she asked me to enter as she wants to give a set to one of her friends. lol! She can't wait for Alexis and the Sacramento Surprise to come out. I follow your blog on Network Blog. Sydney and the Wisconsin Whispering Woods is the book I know my granddaughter would love!! I also entered the Kate's Gadget Girl Giftbasket! Both of my girls would love this gift set, if I won. They love to read, and these books look so appealing. Thanks for sharing good lit. for girls. I would love to also read McKenzie's Branson Brainteaser. It looks great.